Karen’s 20 years in the crisis management, business continuity and emergency management field have taken her around the world, managing assignments in the Pacific, US, Europe, Asia, Australia and New Zealand. She initially developed her knowledge in these areas as a lead consultant with PricewaterhouseCoopers. Since 2004 she has been providing advice and support in a consulting role and joined Kestrel in 2010 as a Director. 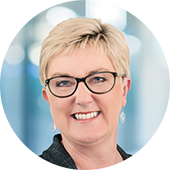 Crisis management exercises are Karen’s forte and she has worked with Transpower, ACC, Spark, Chorus, ESR, Reserve Bank of New Zealand and Inland Revenue as well as many small and medium businesses. Karen has also worked closely with civil defence agencies on major national exercises, including scenarios for a Wellington earthquake, a pandemic and a volcanic eruption in Auckland. As well as offering crisis management services, Karen works with large and small corporate and government organisations on the design and implementation of business continuity solutions in line with international standards. Dave has a wide range of experience across the building, infrastructure, emergency management and research sectors. The majority of his work involves the leadership and co-ordination of complex multi-agency projects across these sectors. 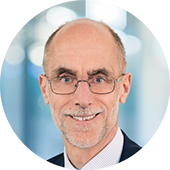 Dave currently chairs the Ministry of Education’s Engineering Strategy Group that provides technical oversight on the design and seismic assessment of school buildings. He is the principal engineering adviser to a range of other national organisations and local authorities. Dave is a Distinguished Fellow of Engineering New Zealand and Life Member of both the NZ Society for Earthquake Engineering and the Structural Engineering Society of New Zealand. In 2012 he received the Minister of Civil Defence’s Silver Award in recognition of his important contribution to Civil Defence Emergency Management. Developing and facilitating crisis exercises is just one of Sandra’s areas of expertise. 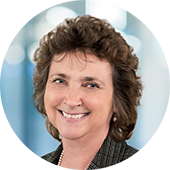 Sandra has assisted a range of organisations with their planning for emergency events, covering everything from developing crisis management and business continuity capabilities to preparing for pandemics. She has also helped organisations to prepare for their involvement in both local and national exercises. Prior to joining Kestrel Group in 2006, Sandra spent eight years with the Wellington City Council Emergency Management Office honing her skills in emergency management. 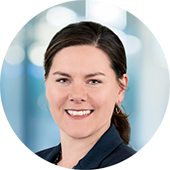 With her postgraduate Diploma in Emergency Management from AUT, Sandra combines academic with practical knowledge in delivering solutions to our clients. Sandra’s hands-on operational experience includes working with Regional Public Health and the Ministry of Health during the H1N1 swine flu influenza pandemic and with the Ministry of Civil Defence and Emergency Management during the Christchurch earthquake in February 2011 as Lifelines Utility Co-ordinator. John joined Kestrel in January 2015 after eight years as Director of the Ministry of Civil Defence and Emergency Management (MCDEM). Prior to this he served 35 years in the Royal New Zealand Air Force, culminating in a four-year period from 2002 to 2006 as the Chief of Air Force. During his time at MCDEM John was responsible for the development of New Zealand’s disaster resilience and the country’s ability to prepare for emergencies and manage response and recovery activities. Following the 22 February 2011 earthquake in Christchurch, John was National Controller responsible for the management and co-ordination of the national response. John was made a member of the Royal Victorian Order (MVO) in 1981 for his service to the Queen as an Equerry. He was appointed an Officer of the New Zealand Order of Merit in 2001 for leading the planning for the New Zealand deployment to East Timor, and in 2006 he was promoted to Companion of the New Zealand Order of Merit (CNZM) in recognition of his leadership as Chief of Air Force. David joined Kestrel Group in 2010 after stepping down after 17 years as Chief Executive of the Earthquake Commission (EQC). This role followed a 20-year involvement with the New Zealand insurance industry. His areas of specialisation are insurance and reinsurance, disaster recovery planning and the financial aspects of disaster recovery, public policy and research administration. David also has a wide knowledge of the natural disaster schemes implemented in other countries. David is currently the Chair of the Strategic Advisory Group of the Natural Hazards Research Platform and Chair of the steering committee for the University of Canterbury-led Resilient Organisations research programme. 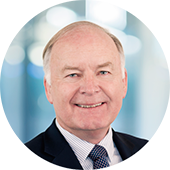 During his time at Kestrel David has provided advice to a wide range of tertiary institutions, government agencies and organisations and provided expert advice on legal cases. 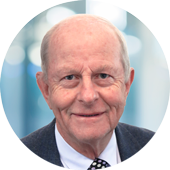 He has received an Honorary Fellowship of the Institution of Professional Engineers New Zealand (IPENZ), Honorary Membership of the Wellington Lifelines Group and Lifetime Membership of the New Zealand Society for Earthquake Engineering. In 2010 David became an Officer of the New Zealand Order of Merit. Michelle joined Kestrel in 2014. She is the product specialist for Talon – Kestrel’s new service for mobile crisis management. Michelle also provides project management support to the Kestrel team and assists with the development and facilitation of crisis exercises. With a 15-year background in IT operations, Michelle became a Microsoft Certified Systems Engineer in 2000. In recent years her interest has shifted to the human side of technology and she is currently studying communications and psychology part-time. Michelle is now focusing on organisational psychology – how the working environment affects behaviour, and how organisational behaviour can be changed. As a volunteer for the Autism Intervention Trust, Michelle has helped the organisation to use technology to streamline many of its previously manual processes. She retains a strong interest in technology, with particular attention to how technology can enable the achievement of business goals. Mike joined Kestrel in 2018 after nine years as Chief Engineer for the Ministry of Business Innovation and Employment. 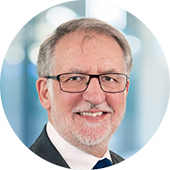 He has extensive national and international experience in engineering, building regulation, construction, and project, quality and risk management. Mike provided technical leadership to central government in its response to the leaky building crisis, the weathertightness failure of house framing, described as a “systemic failure” of the building system in New Zealand. He also took a lead role for the Ministry’s technical work relating to the recovery of the 2010/11 Canterbury earthquakes, including responding to Royal Commission recommendations and implementing lessons across New Zealand. Mike is a Fellow of Engineering New Zealand and a Life Member of the New Zealand Society for Earthquake Engineering, the Structural Engineering Society New Zealand and the New Zealand Geotechnical Society. He has presented at numerous New Zealand and international conferences.